The Quail Motorsports Gathering is nothing if not unique. This year what struck us most is this: It seems to be the home for supercar brands that exist only digitally–or as this year proved–at the Quail. From the Genovation GXE 800 horsepower electric Corvette to the W Motors Lykan HyperSport, we saw many cars that we had never even heard of. If you enjoy this kind of eye candy (and what car-guy or 15-year-old boy doesn’t), then The Quail is worth a visit. The electric Corvette brings up another theme at this year’s show: Electrification. Jaguar had an electric XKE in their display, and other brands seem to be moving more and more to electric or hybrid models. While this show is primarily a classic car concours, the corporate involvement makes it what the New York Auto Show used to be: a seriously cool way to see all kinds of new prototypes and weird and wonderful cars. Seeing a Singer in person is always a treat, and BMW unveiled the all-new (and quite handsome) Z4. On the classic side of things, across from the Lamborghini stand we saw an eclectic row of Lamborghini Espadas. These uniquely-shaped cars make quite a statement, especially when you look at a whole row of them. 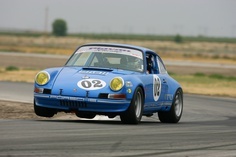 Famous race cars, and all the classics from Ferraris to Porsches rounded out the field. While not a cheap date at over $600 for tickets, the Quail is a cool event to experience and the wine, beer and food are all top-shelf.